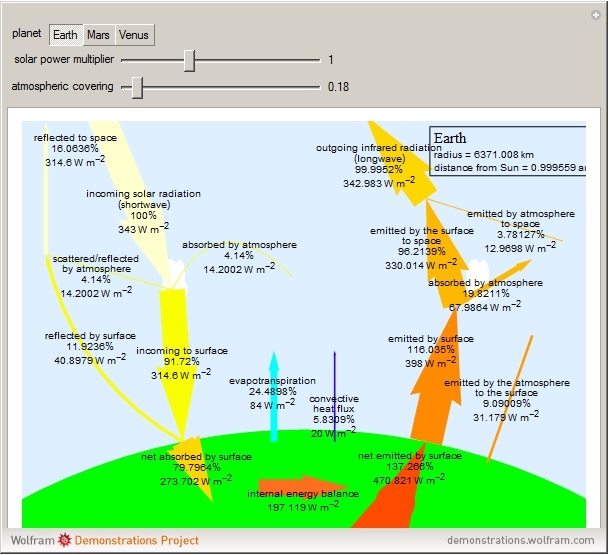 A Trenberth diagram shows the movement of energy within a planetary system. 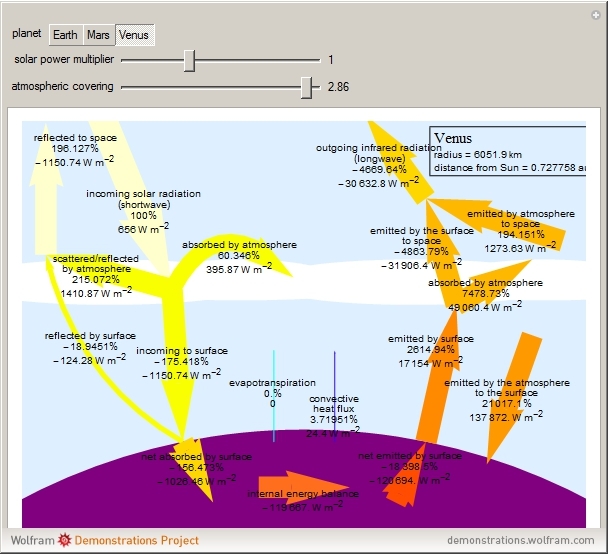 The energy comes from the Sun and undergoes a series of reflections, absorptions and emissions through interactions with the planet's atmosphere and surface. This should result in a net change as close to zero as possible. Otherwise the system is either absorbing or emitting energy, which creates a lasting effect over time, resulting in climate change. 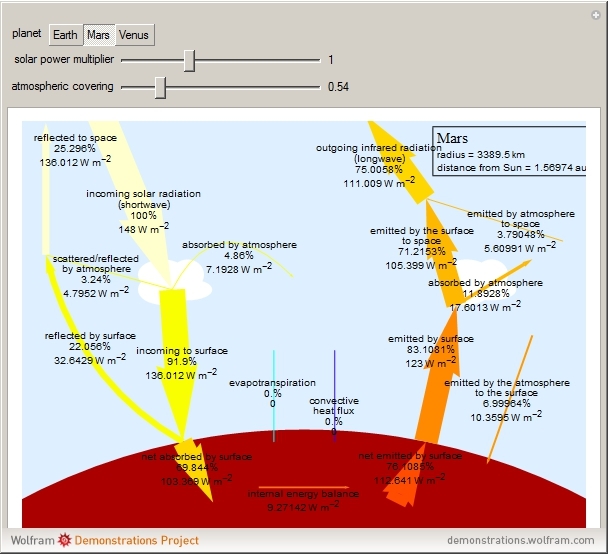 This model lets you vary incoming solar radiation and atmospheric reflection levels of the Earth, Mars or Venus to show the impact on internal climate. Terrestrial and Gas Giant Planets," Quarterly Journal of the Royal Meteorological Society, 142(695), 2016 pp. 703–720. doi:10.1002/qj.2704.